Poncho is the undisputed star of this fall, and Hollywood stars have made ​​a real passion for this piece of clothing, having appeared in Burberry’s collection. One thing is clear, this piece of outfit is not only useful through his extraordinary versatility but also very chic. 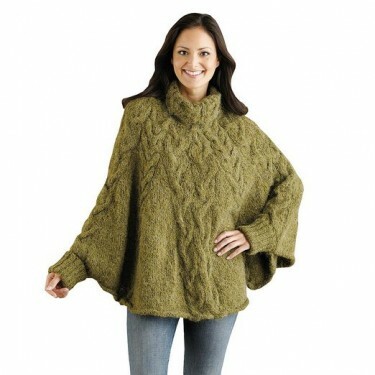 The secret of a successful image is to leave the stylish poncho to capture all the attention. Therefore, choose colors and simple cuts at the bottom of your outfit, jeans and boots. It is not recommended to use too many accessories. Good combo’s could be a military jacket and skinny jeans, or a combination with a pair of leather leggings built a remarkable contrast between tradition and nonconformity. 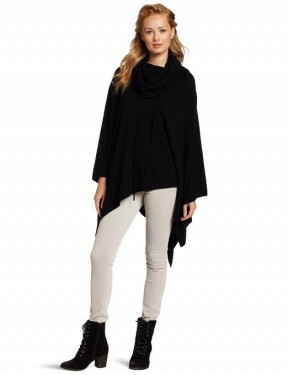 Regarding footwear if you have a tall, slim silhouette, flat soles and heels look as good in combination with a poncho. If you are not very high, it is recommended to wear shoes with heels, not risking to look short and curvy. 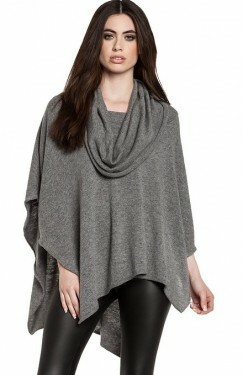 Poncho’s revived last year and, behold, this season, has become one of the must-have fashion pieces in your wardrobe. Comfortable and versatile, a poncho can bring a lot of color and originality for your image. Never match loose pants with a poncho.